The just announced Fujifilm GFX 50R is a rangefinder-style medium format, mirrorless digital camera that follows in the footsteps of the GFX 50S released back in 2016. 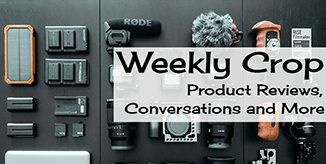 The GFX 50R features the same 51.4MP G Format CMOS image sensor and X-Processor Pro image processing engine as its bigger brother, but somehow Fujifilm has been able to fit it into a body that is more similar in size to the newly announced X-T3 camera than the GFX 50S. 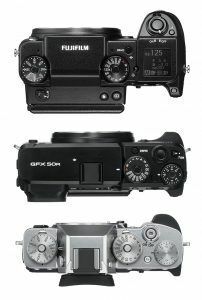 By eliminating the deeper grip, top mounted LCD screen and hump on the back of the 50S, Fujifilm has been able to reduce the overall size (66.4mm vs. 91.4mm) and weight (775g vs. 920g) of the 50R by about 27% and 16% respectively. The body is constructed out of magnesium alloy and is weather-sealed in 64 places offering a fair amount of weather and dust proofing. With the 50R, Fujifilm has moved back to the dial system for controlling camera functions as found on most of their X-Series cameras. TTL Contrast AF is available in Single Point, Zone and Wide/Tracking modes and offers up to 425 focus points (in Single Point mode) as well as six different focus size areas. Face/eye detection is also available with the ability to give priority to either the left or right eye. There is also a focus level on the back of the camera allowing you to move the focus area in eight different directions without having to look away from the EVF. Continuous shooting possible at up to 3fps when shooting in JPEG, or up to 8 fps in RAW and up to 13 fps in compressed RAW. Click here to read Spencer Wynn’s first impressions and see the images he shot with the GFX 50R. You’ll also have access to 15 of Fujifilm’s stellar film simulation modes when shooting in either photo or video modes. In first for the GFX line, Bluetooth connectivity has been added in addition to Wi-fi. This means that you’ll be able to pair the GFX 50R with Fujifilm’s free camera remote app on your smartphone or tablet. 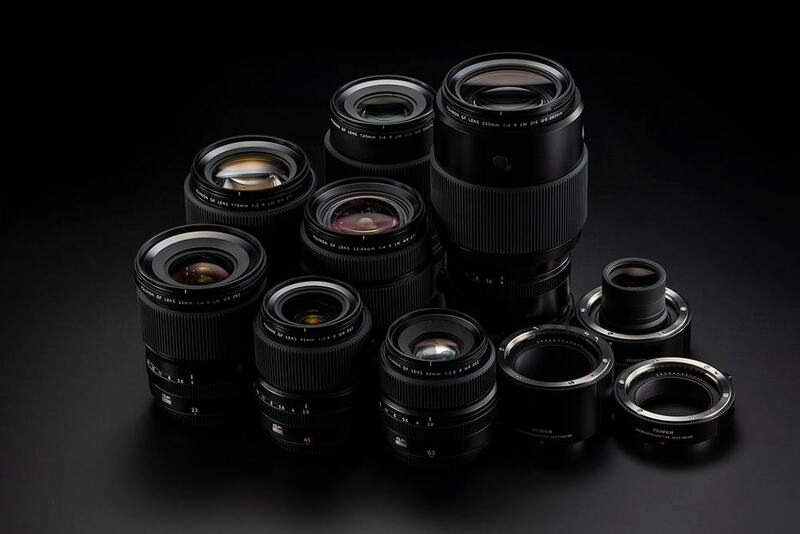 The 50R is fully compatible with the existing G Mount lenses and adapters and Fujifilm has announced that there are more 3 lenses on the way. Those lenses are the GF 100-200mm f/5.6 OIS, GF 50mm f/3.5, and GF 45-100mm f/4 OIS lenses, however, pricing and release dates for them have yet to be announced. The Fujifilm GFX 50R is expected to hit stores around November and retail for around $5700.00 CDN. FUJIFILM made history with the launch of the GFX 50S. And now, with the launch of the GFX 50R – a medium format mirrorless camera that delivers premium imaging quality in a lightweight rangefinder style body – FUJIFILM is shaping the future of history. Next Article GoPro Hero7 – Has GoPro finally got its Mojo back?